A fun little Christmas game. Enjoy, and remember its okay to stay in the holiday spirit. Have fun and try to get some high scores! 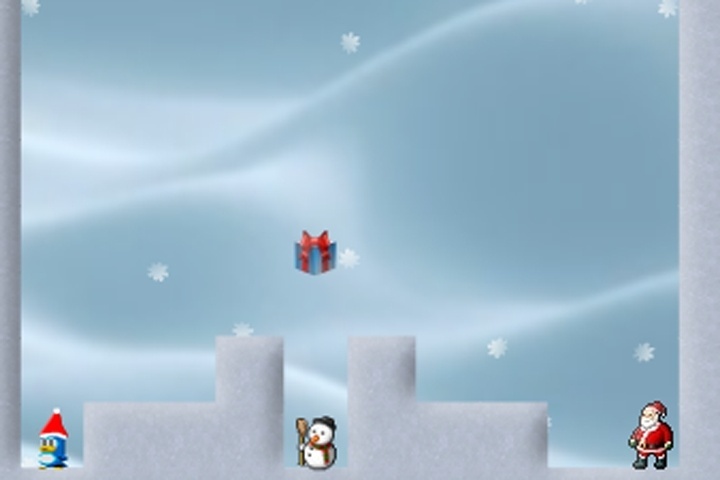 Run and jump your penguin throughout each level, collecting presents to give to Santa, then create your own level and have your friends play it. Great for Christmas and Winter! Arrow Keys to move. Dodge the evil Snowmen, get the presents, and return them to Santa! If you want to play Saving Christmas games online you have come to the right place! GamesLoon adds new Saving Christmas games every week. This is your game portal where you can find the biggest collection of free Saving Christmas games online. Do not forget to rate our Saving Christmas free online games while playing!